my apologies this storyarc is meant to be read as whole and the pages are not stand alone. This entry was posted on Friday, June 8th, 2012 at 4:33 am and is filed under Uncategorized. You can follow any responses to this entry through the RSS 2.0 feed. You can leave a response, or trackback from your own site. so the equivalent of “KEEP OUT” then. 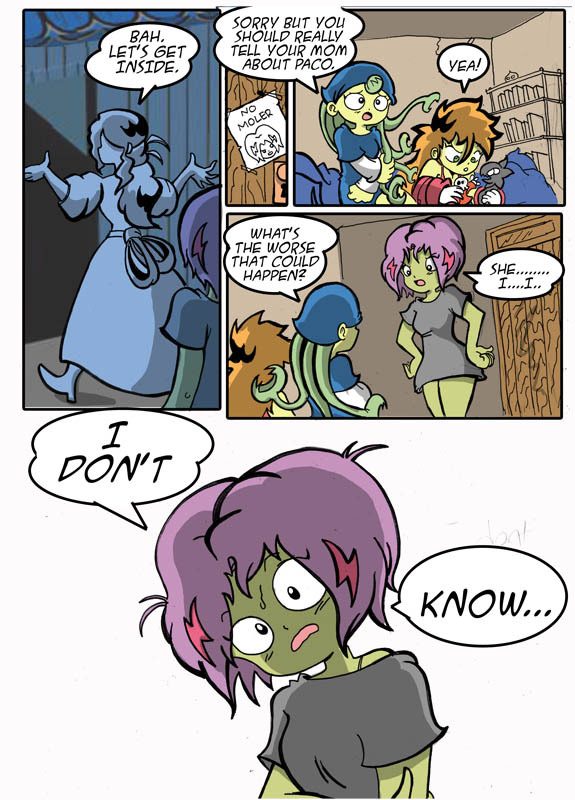 Hehe, I love her face in that last panel.. nobody ever thinks about it, they just ASSUME they must keep a secret..
¿No Moler? aca por Jalisco no lo usamos.